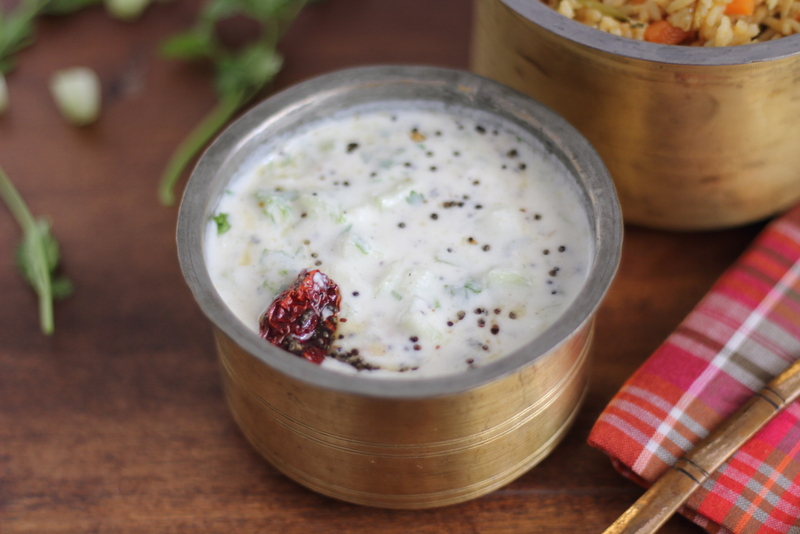 Raita is basically a ‘side’ which is usually made with yogurt and vegetables. It pairs well with rice dishes like biriyani and pulav. It is yummy & healthy (with low fat yogurt) and it can also be had by itself without being an accompaniment. It might seem strange that i am posting the recipe of something that’s so simple and basic. The reason for my posting this recipe is that this is a raita with a small twist. 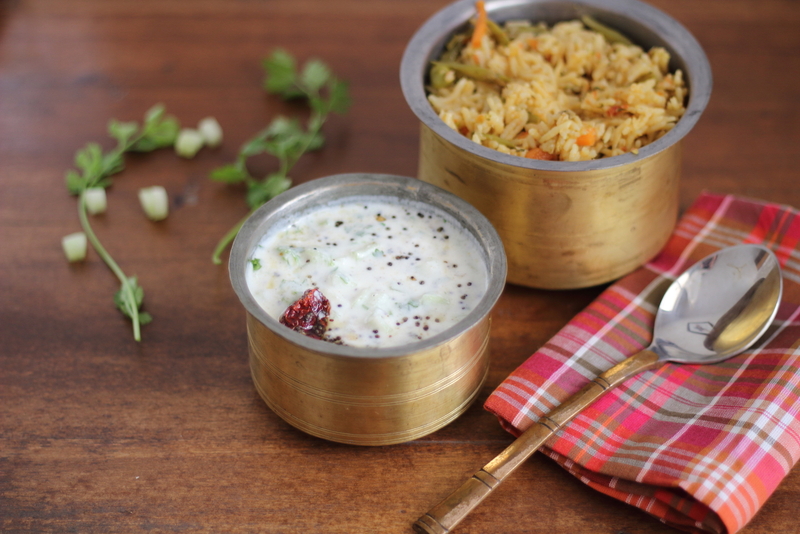 I usually make cucumber raita the simple way i.e. mix chopped cucumber with yogurt, salt and pepper. Last time around i decided to temper the yogurt and see how it turned out. I was pretty happy with the results. I am not sure whether it is a common practice to temper the raita, but it was new to me. So i decided to post it for all the uninitiated souls like me. You can try it out and let me know if you liked it. Cucumber in tempered yogurt. Tasty by itself, it is a good accompaniment for rice based dishes. Cut the cucumber in half. Remove the seeds and chop it finely. Beat the yogurt and milk well. Once it pops add the husked black gram, fenugreek seeds and asafoetida powder. Once the urad dal changes colour, tear the red chillies into 2 and add them to the oil. Once it changes colour, pour this onto the yogurt mixture. Add finely chopped cucumber, coriander leaves and salt to the yogurt mixture.